Who We Are - TEDA, Inc. - Tuolumne Economic Development Authority Inc.
Tuolumne Economic Development Authority, Inc. (“TEDA”) is owned and operated as a component unit of the Tribe. 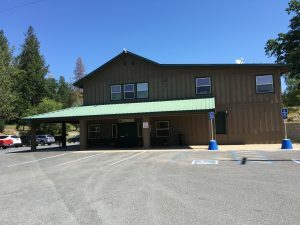 TEDA is a federal-chartered Tribal corporation under Section 17 of the Indian Reorganization Act of 1934 and is governed by the Tuolumne Me-Wuk Tribal Council. TEDA was created with the express purpose of aiding the Tribe in financing, developing, constructing, operating, and maintaining economic development projects that will further the Tribe’s economic development goals and purposes. A seven member Board of Directors (“Board”) that is selected by the Tribe’s Community Council is responsible for overseeing and carrying out Board duties proscribed under TEDA’s Corporate Charter and Bylaws, while the day to day operations of TEDA are managed by its Executive Officers, which include a President, Vice President, Secretary and Treasurer.